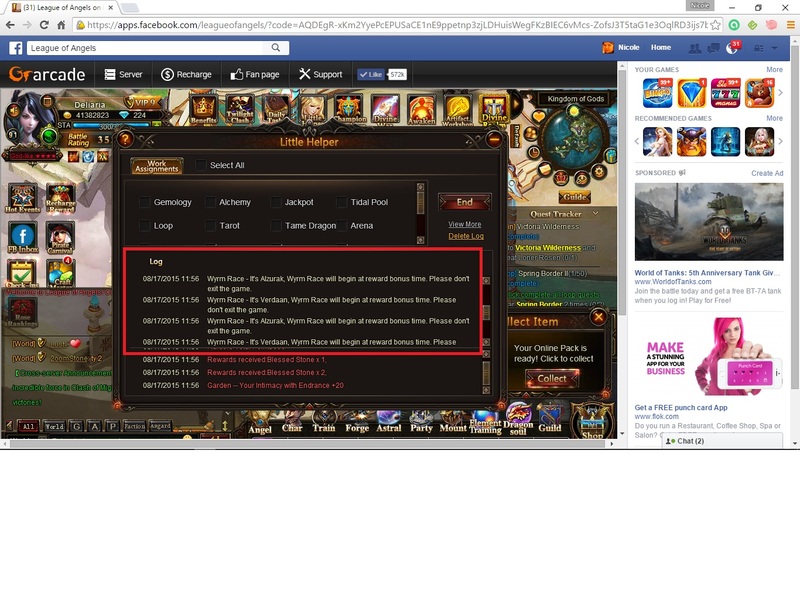 North America Forum»Forum ›League of Angels ›Bugs › Where are my Dias? Okay this is seriously getting old. Everyday I log in you guys take anywhere from 20-200 dias from me. I use MAYBE 2 dias a day to get omni event because I am saving them up. I haven\'t been doing more than log in the last couple of days and had almost 300 dias yesterday and now I log into 69 and am back to 119 after log in bonus. I want my Dias back. I didn\'t spend a single one over the last week so where are they? I would appreciate it if you sent gave them back to me. At least 500 this month so far. Thank you. dont expect them to be returned tho there is NO warning that dia may be spent. 2019-4-20 01:13 GMT+8 , Processed in 0.051296 second(s), 44 queries .